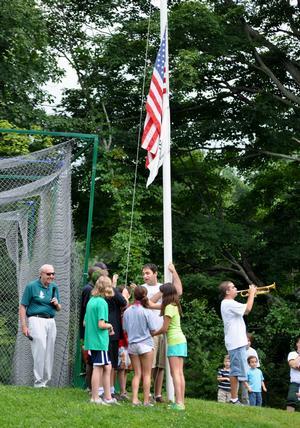 At Long Ridge Camp, we want to give our campers a wide variety of activities to participate in. From Sports to Arts to Nature and Swimming. Our days start and end with flag raising and lowering ceremonies. Based on our daily schedule, children will be able to participate in a wide variety of different activities on a weekly basis. The only constant on a daily basis is swimming which is twice per day (an instructional and a free swim). Below hear a rendition of LRC Taps & the Long Ridge Camp song as performed by some of our campers!